Dumbo Loft is steps away from Brooklyn and Manhattan bridge. 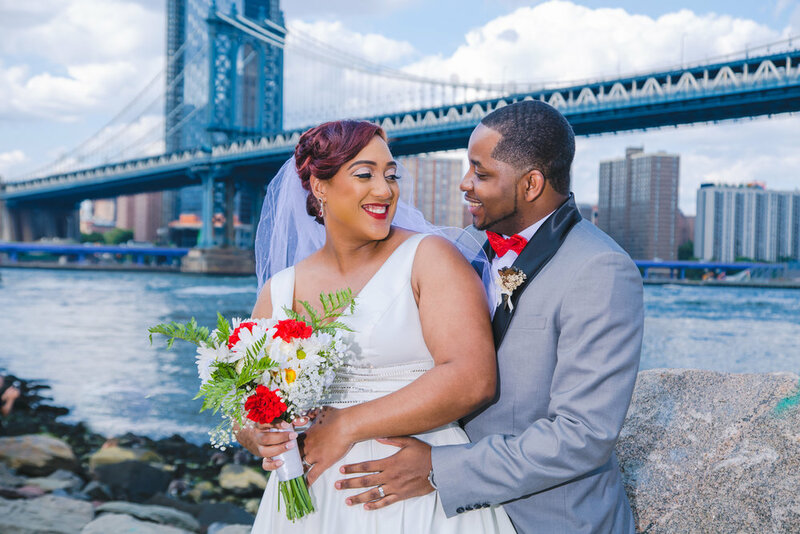 Tatiana & Allen took advantage of the skyline by taking photos at Brooklyn Bridge park with both bridges behind them. 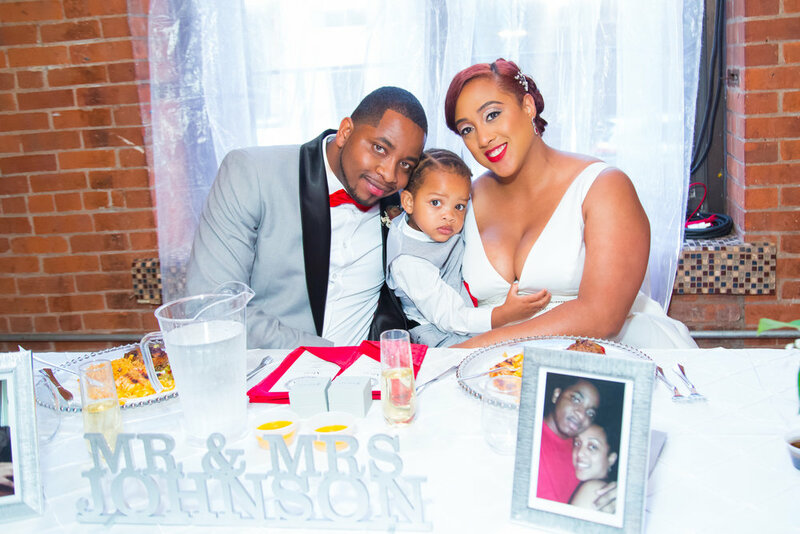 Tatiana and Allen’s wedding was sweetly filled with DIY decor and pops of read throughout the decor. 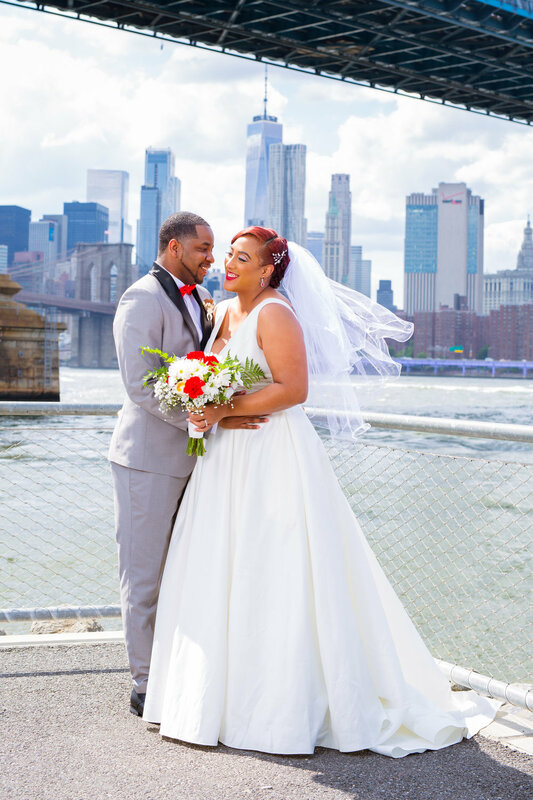 They had an an afternoon ceremony followed lunch and dancing. 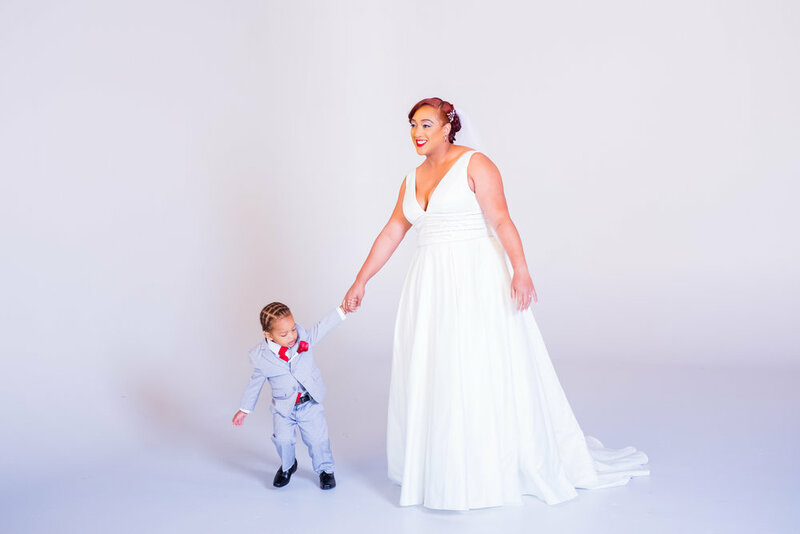 Loved working with these two and how adorable is their little boy?! !